It's July in Minnesota, which means that we're in the heart of summer. Despite being a state known for snow and winter sports, we take summer pretty seriously in the land of 10,000 lakes. While some might argue that cold beer is the best companion on a hot day, I agree that it does the job in a pinch--but a glass of bubbly is even better. Effervescent and refreshing, champagne is a surprisingly perfect pairing for not only toasts (seriously - try it with scrambled eggs or potato chips). Champagne has an interesting history, and the best products are imbued with their own stories. 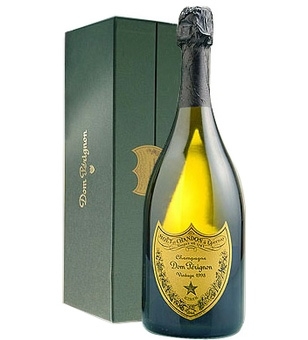 One of the best known brands, Dom Pérignon, has an especially storied history. There's quite a bit stuffed into this champagne box. For a sparkling wine to be called champagne, it must come from the Champagne region of France. That's where we're starting this story, in France circa 1668. 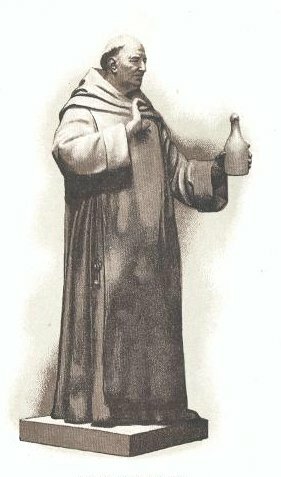 Dom Pierre Pérignon was a French Benedictine monk. While he didn't *invent* champagne, the Dom heavily influenced how it was made in a time when the region primarily produced red wines. While it might sound strange that a monastery controlled a vineyard, it wasn't uncommon in medieval France. Even today, authentic Trappist beers are brewed in monasteries. Today, it makes money; at the time, it was just another beverage. Basically, he established wine-making principles that are still in use today. Over the years, the demand for Dom Pérignon has only grown. Economics is all about supply and demand: when supply is limited, demand is higher. As a vintage champagne, all the grapes must be harvested in the same year. And, if it was a weak year for grapes, it's not made at all. Since 1921, there have been 41 vintages; it's extremely rare for harvests to result in a vintage multiple years in a row. When your goal is bottled perfection, it's obvious that not every year will yield the best. Dom Pérignon, despite the demand from royalty and rappers alike, never compromises for quality. A luxury product needs luxury packaging, and while Minnesota-based Sunrise doesn't make their boxes, we're enamored of the custom set up champagne box style utilized.